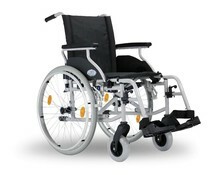 The Excel G-Evolution is an Aluminium framed wheelchair that forms part of the mid-low Excel range. 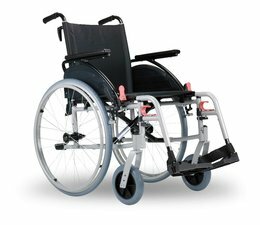 The lightweight frame offers stability and manoeuvrability for the end user. The G-Evolution's footrests are fully height adjustable for maximum comfort. The side panels of the wheelchair have also been upgraded and are now higher which makes for a safer user experience.